The retraction winch is powered by its geared electric brake motor. 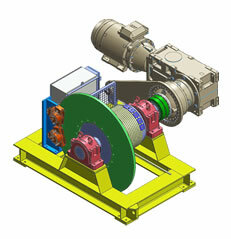 The retraction winch includes a groved spiral cut drum for accurate location of rope during operations. 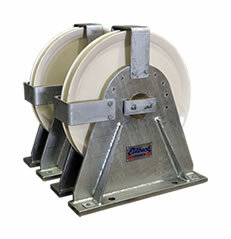 The retraction winch is designed to provide multi-layer rope storage. The retraction winch includes an electromagnetic fast acting fail safe high speed brake, which acts directly on the NDE of the winch motor. 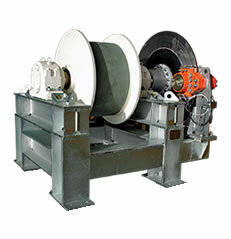 The retraction winch is self contained piece of equipment, and can be relocated easily. The winch is designed to operate at a single speed with smooth start/stop ramps. Full torque is available at all speeds. 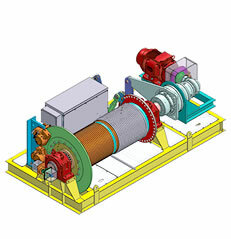 The drive has a modular construction of motor and gear unit to enable easy replacement. Winch overload protection is provided by the variable speed drive that is tuned to limit torque to the required value. 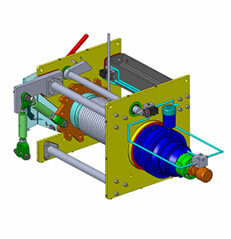 The retraction winch is controlled locally at the winch LCS / motor control cubicle. 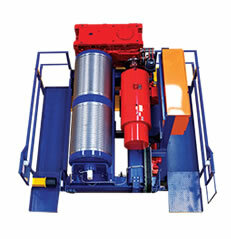 The single-drum, single rope take up winch is manufactured to be a robust long-term winch. 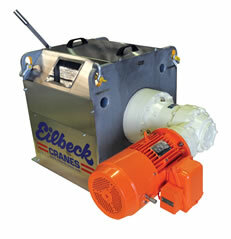 The take up winch is supplied by a 3 phase+ N via an industrial plug connection. It can be operated locally without the plant control system. 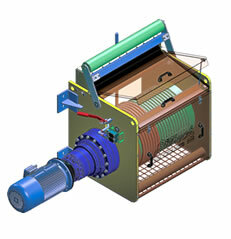 The retraction winch is a stand-alone piece of equipment. It can be relocated, and once powered can operate indepenantly of other plant. Winch motor is protected from damage from thermal effects by thermistors.